Choosing the perfect child care provider for your little ones can be difficult thats why we strive to provide you with all the information you need to make that decision with confidence, while also making the process extremely simple. Each Academy is purpose built in every way to provide a bright and spacious setting with classrooms that are fully equipped for each age range. Outside play areas are designed with impact absorbing safety surfaces plus a wide range of interesting play equipment for everyone. We believe that children should be encouraged to their maximum potential through a variety of early learning experiences and our qualified, caring teachers are dedicated to the development of each and every child. Visit your center of choice, no appointment necessary and take a guided tour of the facility. At this point our knowledgeable and friendly center Director will answer any questions you may have and provide you with the appropriate enrollment forms. Complete the enrollment forms and register your child or children on a mutually agreed start date. When you choose Ladybird Academy for your child, you can rest assured that he or she is getting extraordinary care and education in a safe, state of the art and secure environment. Come visit a Ladybird Academy and experience the difference. To get started, find a school and stop by for a tour. If you have already visited a Ladybird Academy and would like to begin the enrollment process you can find all the registration forms needed on your chosen location page. Simply download, print and complete the forms and bring with you on your next visit. Changing or starting a new school isn’t easy. A child’s first day of school can be filled with anxiety over the unknown and maybe even a few tears too. 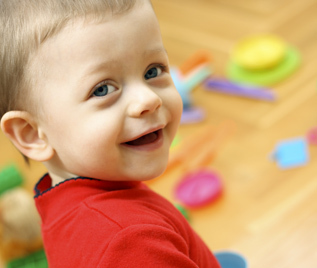 Our focus is ensuring the child care acclimation process is as welcoming and worry free as possible. We will always be available throughout each day should you have any concerns. Firstly you will be asked to register your fingerprint and provide a password for secure checking in and checking out of your child. This is required for each family member or authorized contact who will at some point drop off or pick up your child. You will then receive your magnetic key card allowing you access to the main part of the Academy. Without these you will not be able to go further than reception. If additional keys are required for other authorized contacts they can be obtained from your center Director. Your child’s teacher will then give you an introduction and navigation of the classroom. Electronic daily reports will be emailed directly to you at the end of each day following collection of your child using the email address provided on your enrollment application. Of course, it doesn’t stop there. Open communication is encouraged, our first class staff and management team are always available to answer any questions you may have.